Wednesday 31st July 1918: At the Luton Borough Police Court today Marie Burnand, a Frenchwoman who is employed at George Kent’s works in Luton, and whose husband is serving in the forces, summoned another employee at the same works for using insulting language. She gave evidence that George Marsh, a 46 year old discharged soldier of St. Ann’s Road, called her a German, and said she was a spy and that her husband had gone back to Germany. On July 20th he had kicked the wheel of her bicycle on Farley Hill and created a disturbance. She resented this abuse as she was French and her husband was fighting for his country. George Marsh said he was sorry he had been in company in a public house, but alleged that Mme. Burnand had also created a disturbance. He was sorry if he called her a German. This was George Marsh’s 31st appearance in court, and he was known to be a violent man. As his last appearance had been in 1915 he was treated leniently and bound over for six months, with an order to pay costs. “Sir, - I trust I need make no apology for bringing before your readers a matter which concerns Leighton Buzzard and district very closely. 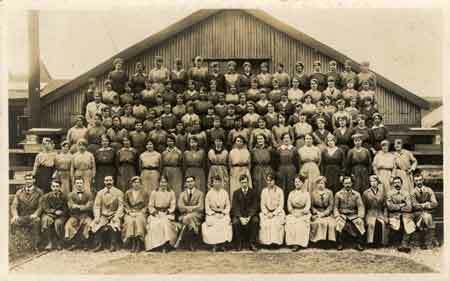 There are in Germany at the present time six prisoners of war of the Bedfordshire Regiment from Leighton Buzzard. To keep these prisoners, not in comfort, but in health, entails an expenditure of £21 per month on parcels in addition to what is already being done by relatives. In other districts the expense is borne locally; surely Leighton Buzzard and district will be equally ready to pay its quota. I hope that it will be possible to raise the necessary £21 monthly but subscriptions of £1 a month, 10 shillings a month, 5 shillings a month, or even 2 shillings 6 pence a month. Few people, surely, will be able to resist such an appeal for men who are helpless in the enemy’s hands. Before the war Miss Dickinson was an enthusiastic breeder of Great Danes, and was a familiar sight in the town with her animals. One champion dog has accompanied her throughout her travels; she says it is a great protection to her when the enemy gets at close quarters. We reported in January 1916 on the adventures of Miss Dickinson’s sister Edith, who escaped from Serbia in a hazardous trek across the mountains following the fall of Belgrade, where she had been serving as a hospital chauffeur orderly. 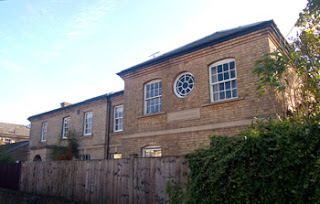 Tuesday 23rd July 1918: In October 1918 he Bedford Day and Night Nursery opened at 92 Midland Road. 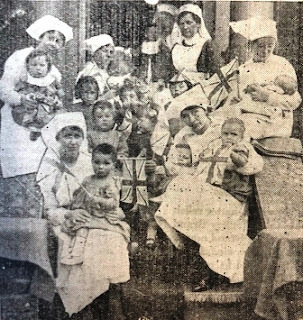 The Nursery provides a very necessary service to the mothers of Bedford who responded to the call to fill the places of men who have left war work to join the Forces. Before the Nursery opened mothers had to leave their little ones with a neighbour or an older child; now babies and toddlers can be left at the Nursery in the knowledge that they will receive the same level of care and attention they would receive from their mothers. The Nursery has airy rooms and a garden where the children play and sleep in warm weather. The Government pay half the expenses of the Nursery, mothers pay sixpence per day for each child, and the general public are asked to make up the remaining cost. On Saturday a “Daisy Day” street collection was held at Bedford to provide funds for this essential service, raising a total of £167. 1s 8d. 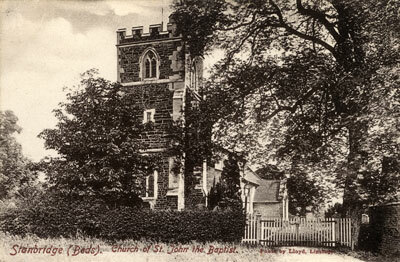 Saturday 20th July 1918: The wedding has taken place today in Stanbridge Church of Corporal Will Jones to Miss Violet Dockrill, the niece of Mr and Mrs John Dockrill of Stanbridge. Corporal Jones is home on leave recovering after being wounded for a second time in Italy. A number of other men from the villages of Stanbridge and Tilsworth are also recovering from recent wounds. Private Reginald Stairs is staying with his sister at Dunstable while on sick leave. He was badly hurt and lost a leg at the first battle of Gaza, where he was left on the battlefield with two dead men on top of him for some hours before being picked up by an ambulance. He had previously been wounded in Gallipoli. Private Philip Mead, who also recently had a leg amputated, underwent another operation last week and is making favourable progress. Just a few weeks after his father joined up, Private William Gurney has been badly wounded in the foot and is in now hospital at Bournemouth. Also recovering from wounds are Private Frank Price, son of James Price of Manor Farm, Tilsworth, and Corporal Charles Horn, who had returned to the fray after suffering wounds at Vimy Ridge last year. Saturday 13th July 1918: George Marie Van-der-Poele, a Belgian subject, has appeared at the Leighton Buzzard police court after receiving a summons for failing to notify the Registration Officer of where he intended to be living and the date on which he changed his place of residence. 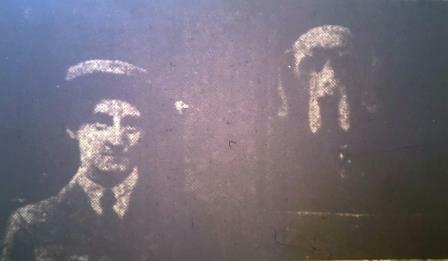 Mr Van-der-Poele came from London on 26th June intending to stay at the Swan Hotel and duly reported his arrival. However, he should have had his identity book stamped before he left London and this had not been done. Speaking in broken English he explained that he had intended to return to London but had some difficulty in getting a season ticket. He was then advised to inform the London police. 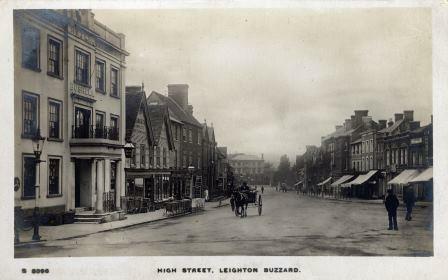 The proprietor of the Swan Hotel later notified the Leighton Buzzard police that Mr Van-der-Poele had gone, and the next day a postcard was received saying that he had returned to London. While the prosecution did not want a heavy penalty to be imposed, they did wish the magistrates to make it clear to Mr. Van-der-Poele that he was obliged to inform the police whenever he decided to change his residence. He had been fined for a similar offence at Linslade last February, although in that case he had been to France without notifying the police. The Chairman explained to Mr. Van-der-Poele that notice must be given by foreigners before changing address, and that sending a postcard after the event was not sufficient. 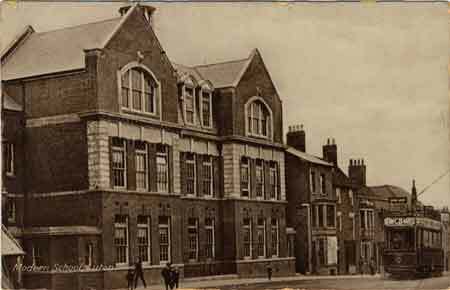 Wednesday 10th July 1918: The Governors of the Luton Modern School and Technical Institution held a meeting yesterday afternoon at the Town Hall, at which one matter under discussion was the teaching of modern languages,. Until now the first language studied by pupils at the school has been Latin or German, and many pupils without sufficient aptitude were learning two languages. After considering a Government Committee report on the issue a committee appointed to look at the matter made this recommendation to the governors: “As from the Autumn Term, 1918, French shall be the first foreign language taken in the Luton Modern School … for a second foreign language the pupil shall have the choice of German or Latin, but, as a general rule, a second language cannot be taken before entering Form III, and only then on showing aptitude for languages, and provided the pupil is remaining at school for at least a further two years”. 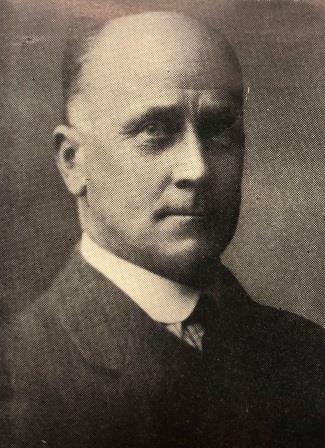 Alderman Williams argued that the current policy of taking German first and following on with either French or Latin, learning two languages simultaneously, had not been as successful as they hoped. The Headmaster thought it would be better if pupils were allowed to thoroughly master one language before learning a second. He regretted the loss of German as a first language due to its commercial benefits, but recognised that it over all it would be better to start with French. Councillor Primett suggested that there was a need to teach Spanish as there were good business openings in South America. After concluding the discussion, the governors agreed to adopt the recommendations in the report. Saturday 6th July 1918: A former soldier has been charged at Linslade with abandoning his wife and three children, leaving them to be provided for by the Leighton Buzzard Poor Law Union. 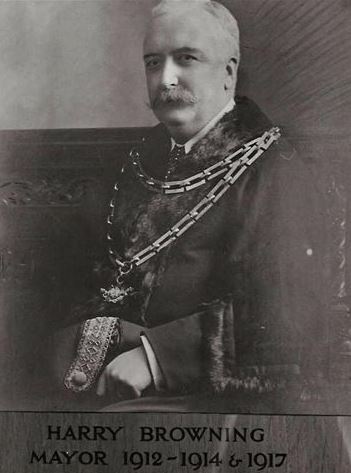 Reginald Arthur Noke, now of Birmingham but formerly of Wing, pleaded not guilty. The court was told that Noke had met with his wife at Northampton on 29th April and had given her £13 out of a cheque for £16 which had come for him from America; with this money she had paid off her debts. The Chaplain of Northampton Gaol had arranged for Noke to start work in the town, but he did not do so. As his wife heard nothing more from him she had to seek relief from the Poor Law Guardians, who had paid her four guineas. In the meantime Noke’s war pension had been reviewed, and he was now entitled to a balance of £40. Noke said he had now got a job as a driver on the Birmingham Tramways at 25 shillings per week. He expected to pass out on Sunday as a qualified driver and would then earn £3 a week. If his wife would come to Birmingham he would provide for her there; if not, then he would pay her an allowance. He had written to the War Office and made over his pension to his children, and he was also willing to hand over the £40 due to him. The magistrates granted him bail while enquiries were made about the outstanding pension.